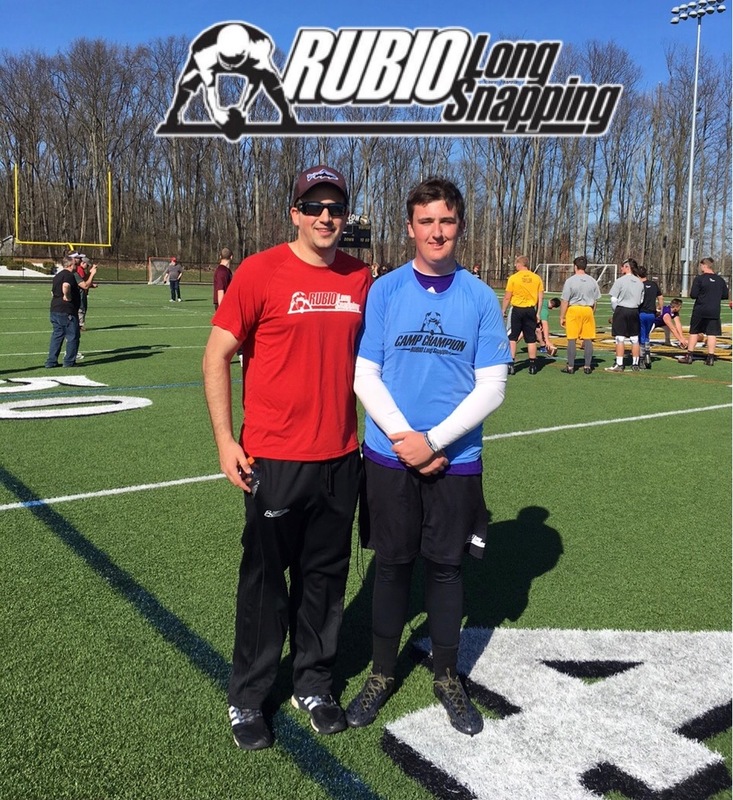 Rubio Long Snapping traveled to NJ on April 9th, 2017 for their spring camp. 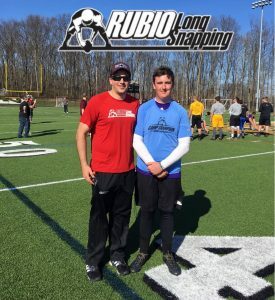 Rubio Long Snapping will be traveling the country this spring instructing Long Snappers and getting them all ready for the 2nd biggest event of the year (the largest is our January Vegas Event), VEGAS 30! 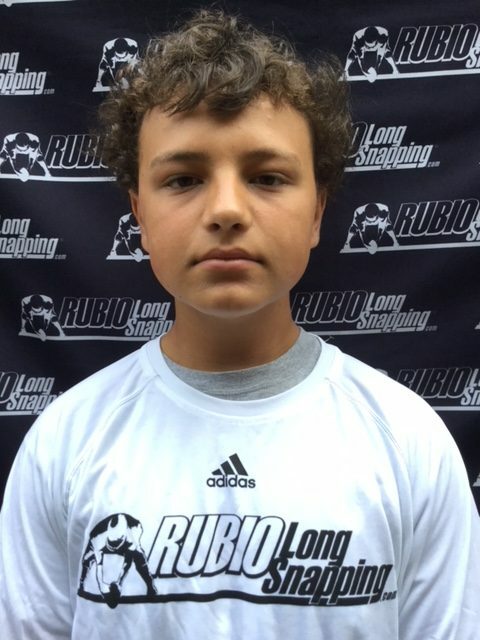 The next stop for Rubio Long Snapping will be Chicago on April 23rd. 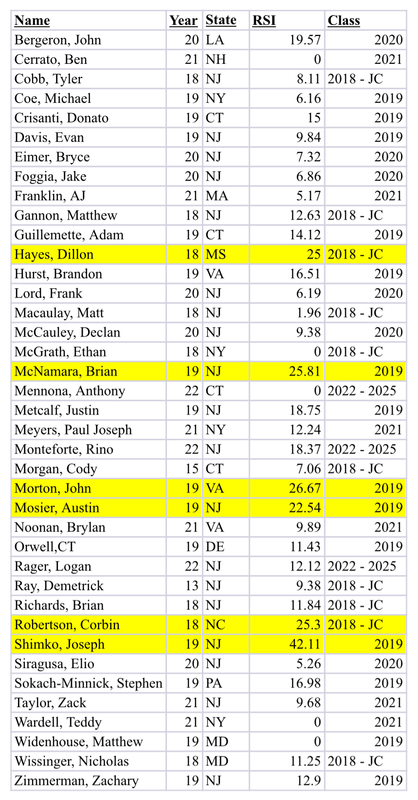 Long Snappers from NY, NJ, MD, VA, MA, PA, CT, OH, and NC all traveled to get the best instruction and the most exposure possible for Long Snapping. 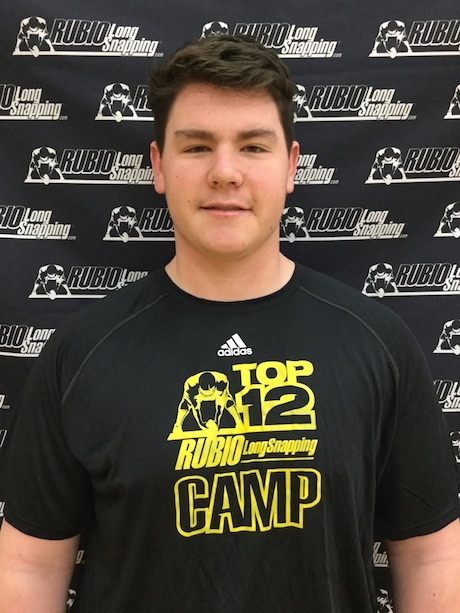 The overall camp champion was Corbin Robertson (2018)! Corbin is incredibly smooth and his catchability is off the charts. 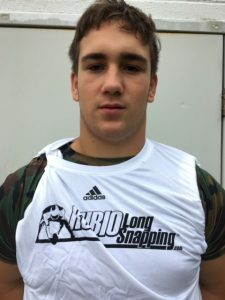 He was the most accurate snapper of the camp, hitting 5 consecutive 3s on the target to go from 6th seed to camp champion! He was unflappable in the finals and handled the pressure very well. His victory earned him a free admission to VEGAS 30 on May 13-14! Billy Taylor was dominant all day in NJ. His combination of speed (he was the speed champion of the camp!) and accuracy is top notch and Rutgers is lucky to have him on their team next year. His ball comes out so fast and in such a tight spiral, it looks like it is fired out of a jugs machine. He continues to develop physically and looks like he can step onto college field and play today. Kevin Crabtree is a massive human being and was throwing heat all day. He went head to head with Billy in the speed finals, and was barely edged out. He moves very well for his size and his accuracy was consistently solid all day. Mario McIntyre (JC) really impressed with his speed and physical ability. A lot of punters were caught off guard by his snaps as they pop out of his hands so quickly. Very solid long snapper, one of the most athletic people at the camp as well. Jon Jarrett really surprised at this camp. Was firing bullets back all day and was soaking up all the instruction and film work like a sponge. 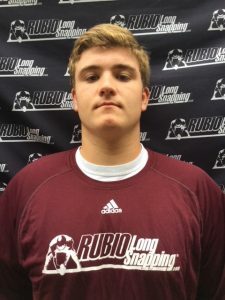 Very eager long snapper who will apply everything he learned and take the next step to being great. 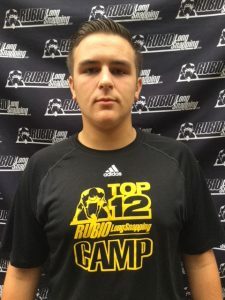 Corbin Robertson obviously stood out as the camp champion, but even before then he was competing a high level. His ball is silky smooth and accurate; you could almost catch it with your eyes closed. 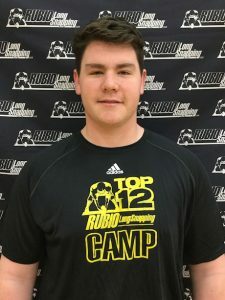 Big kid who continues to improve at every camp. Excited to see him compete at Vegas 30! 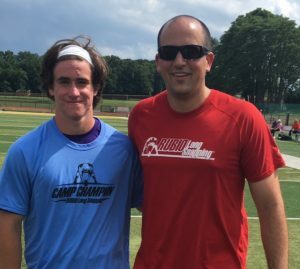 Matt Aloni is a very technically sound long snapper who performed great all camp. Has great size and showed consistent accuracy all day. His form is something you can use as a video example for younger snappers. 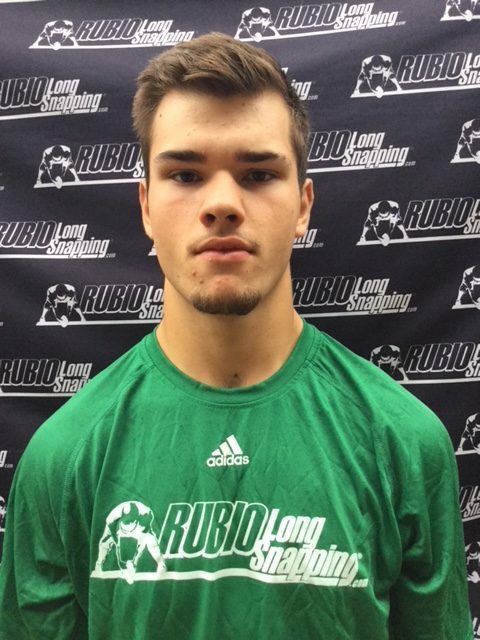 Very attentive all camp and will continue to improve like he has in the past! Brian Richards had a great day and improved through it all. He has a very athletic build and can be a factor in coverage and blocking. With some work he can really climb the ranks. Matt Gannon showed great accuracy all day. His form improved consistently after the film review in the afternoon. Great footwork in blocking, and crushed the agility portion of the camp. 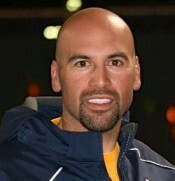 Jude Pedrozo was locked in all day with his speed and accuracy. Very athletic underclassman who has tons of confidence to go with his ability. Already competing at a high level for his age, time will only tell how amazing he can potentially be. Drew Brenowitz showed tons of power all day. He snaps the ball so hard that he was missing high. Once he grasped the concept that is ball is climbing the whole way to the punter and to adjust his release point a little earlier, he was deadly accurate. Tons of potential. Ryan Flowers is a big kid who very rarely misses. 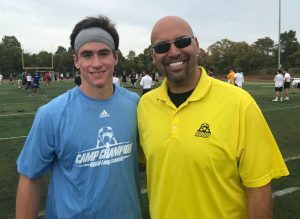 His accuracy was impressive all day and he really took in all the coaching through the day. A couple tweaks to get his speed down and he will be a dangerous snapper to look out for. 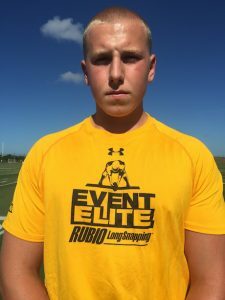 Evan Davis has tons of potential. Physically gifted and is very athletic for his size. Accuracy was spot on all day. Once he tightens up his spiral he will be one to keep an eye on. Dom Serapigilia is a snapper who continues to improve every time I see him. His form for his size is incredible, and his consistency is directly correlated to it. He is a great kid who is un-rattled by any situation you put him in. 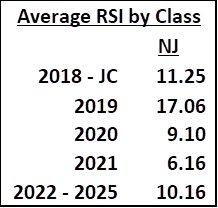 Speed will continue to develop and he will start to become dominant. Ryan Sullivan snaps such a smooth ball it looks effortless on the field. He has tons of potential once he starts to snap hard and focus on his speed. Excited to see him develop. John Morton is a very big underclassman who has his accuracy down. 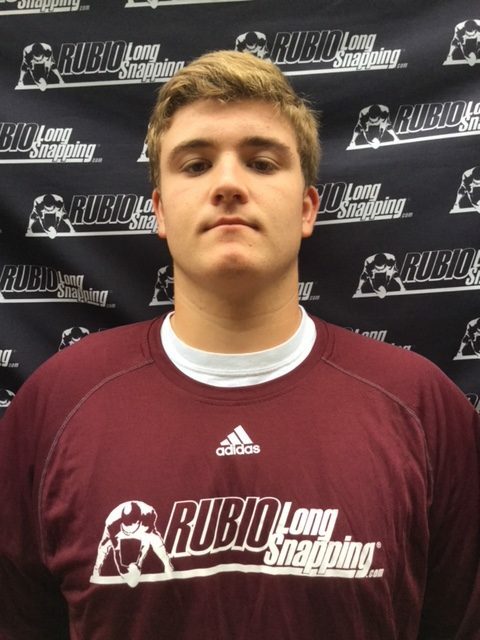 Once he starts to use his big body and put some power behind the snap he will jump the rankings quickly. 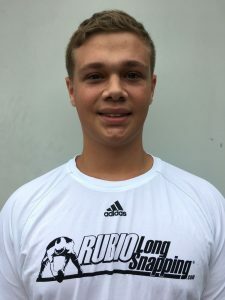 Rino Monteforte (class of 2022!) 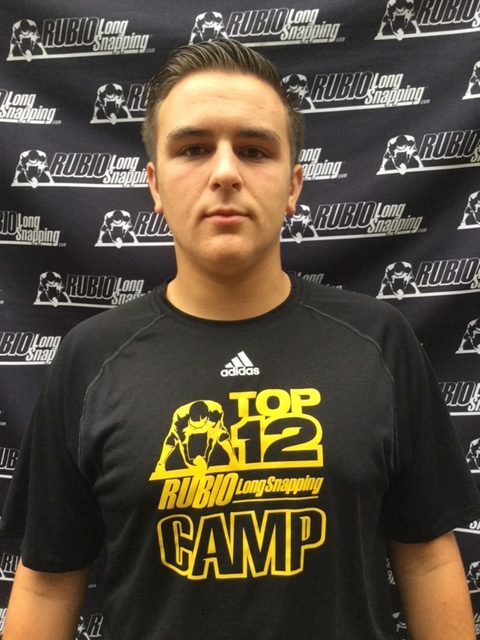 competed with the upperclassman as one of the top 6 for the accuracy portion of the camp. Has tons of confidence for his age and his form is very advanced. Very advanced for this point of his career and excited to see him grow! Declan McCauley is a massive underclassman and looks like he could be a senior in high school. Frame is exactly what you want and he already has it filled out. His speed and accuracy is well beyond his age as well. Very impressed with his development and can’t wait to see what he develops into! Bryce Eimer impressed all day. 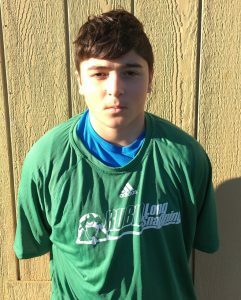 He advanced the furthest out of this age group in the speed portion of the camp. His form is very solid, and once he gets his accuracy locked in, he is going to be dominant. Jake Deluccia absolutely fires the ball back to the punter. The ball jumps out of his hands and has a tight spiral. Transitioned into blocking very well. A few small adjustments to his stance and everything will come together. 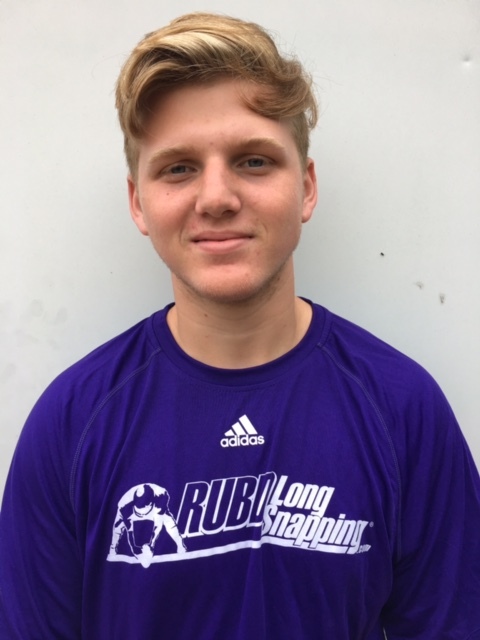 Connor Rhinehart has come a long way in a short period of time. His body is starting to develop and it shows with the speed of his snap. He is very accurate and snaps a very smooth ball. Excited to see him to continue to develop physically and see what he grows into. Luke Byrne is going to be something special once he develops a bit more physically. His ball has a very tight spiral and is very accurate. Once he can grow some strength and develop some flexibility he will be extremely impressive. One to watch. 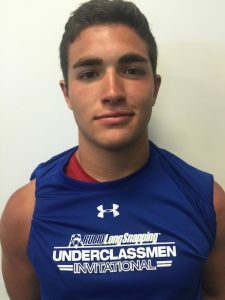 Zack Taylor has big shoes to fill (older brother is Billy from class of 2017) but he is well on his way. His form is almost identical to his brothers (which is pretty darn good). Once he develops a bit more physically, the sky is the limit. Very excited to watch him grow. 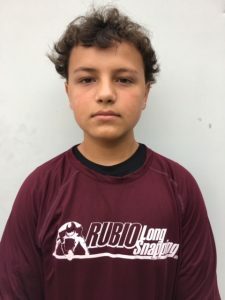 Andrew Dufault (class of 2023!) shows incredible potential this early on. His form is very sound and he snaps a very good spiral. Once he makes a few small adjustments he is going to grow into something special.